Accompanying the 1st anniversary of the opening of the Fukuoka City Science Museum the museum will hold a Creative Space Production Contest. A public plan presentation by groups that passed the first examination will be held to determine the contest winner. 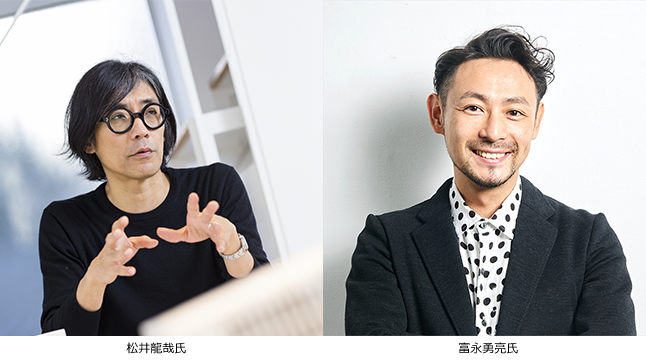 The judges will include Tatsuya Matsui and Yusuke Tominaga, who are top players in the digital technology art field in Japan. The plans will be reviewed during the contest and after the final judgment the winner will be announced and an award ceremony held in the hall. Will you be there when a new plan exhibition is born at the science museum? We look forward to seeing you that day at the science museum. ■What is the “creative space”? This is the space provided in a corner of the Fukuoka City Science Museum Basic Exhibition Room to promote creative related industries originating in Fukuoka by providing an opportunity for shows by creators with a connection to Fukuoka. This is a spot where contents with a scientific concept can be experienced through the senses. This space allows creators can exhibit contents created from their own unique perspective and for the visitors to the museum to experience the technological capability, creativity, artistic sense, and entertainment sense expressed by those exhibits. After all the presentations have been completed, the final judgment will be made and the winner decided. The award is being able to exhibit in the Creative Space for one year.